This is a face to face clinical rotation offered in the fall and spring and receiving 14 credit hours. Third year medical students at UT Knoxville are integrated into a teaching team of 24 resident physicians and over 30 community and academic faculty (MDs, DOs, PhDs, MPHs, and RDs) in the Department of Family Medicine. Students care for patients either in a community-based family physician office or in the University Family Physicians clinic, attend case discussion groups, give patient presentations, co-manage patients with residents and faculty on the Family Medicine Inpatient Service, and see patients at a variety of community sites. Faculty-led workshops and small group talks assist students in learning to advance their interpretation skills for ECG's and chest x-rays, manage common complaints and diseases of adults and children, and decide on appropriate cancer screening strategies among other skill building exercises. Students also provide patient care in a free clinic for the working uninsured, and experience learning opportunities with special outpatient populations. Four weeks of inpatient care at UT Medical Center includes twice weekly call nights with a supervising family medicine resident. Students are introduced to outpatient (ex. Exercise treadmills, colposcopy and LEEP, and no-scalpel vasectomies) and hospital based procedures.A small group presentation regarding a clinical question from their outpatient work further orients students to Evidence-based Medicine (EBM) and assists them in developing presentation skills. Since family physicians address the diverse health needs of both individuals and families, the learning experience with clinical preceptors provides the optimal opportunity to consolidate and integrate information from the biological, clinical, and behavioral sciences learned in the M1 and M2 years. The majority of student's time (approximately 4 weeks) will be spent exploring the professional life of their family physician preceptor, primarily through supervised patient care. This clerkship has a maximum number of four students. Medical students at the M4 level may negotiate their learning activities with the course coordinator, as MANY options are available. 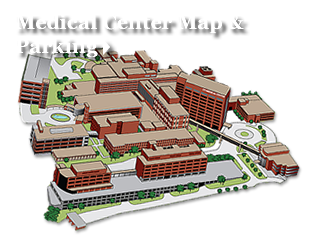 Here is just one choice (traditional): University Family Practice (UFP), adjacent to the University of Tennessee Medical Center in Knoxville, is a 30 year old family medicine practice staffed by residents and faculty. Students provide patient care for a patient population that is diverse and challenging in their health care needs under the direct supervision of family medicine residents and faculty. Various procedures are performed in the office including colposcopy, LEEP, OB ultrasound, minor surgery, “no-scapel” vasectomy, and others. Students may assist on procedures under direct faculty supervision. Students are also integrated into the UFP Inpatient Team, admitting and managing University of Tennessee Medical Center inpatients. Patient care activities with family physicians at the Community Free Clinic round out the learning experience. The student’s clinical interests are definitely integrated into the curriculum of their elective. Rotation sites in the local or adjacent rural area with a board certified family physician in our area will be considered for approval. The student will learn the basic principles of sports medicine, which will increase the understanding of diagnosis, management and treatment of patients with musculoskeletal injuries. The student will outline steps for diagnosis and management of injury, interpret diagnostic testing (ultrasound, xray, MRI, CT, etc.) , treatment approach including intervention strategies (injections, taping, splinting, casting), and outline strategies for rehabilitation and return to play for injured athlete. This elective includes weekly didactics/radiology rounds, and noon conferences. This is an outpatient rotation. No scheduled call but student is expected to attend all sports medicine related activities, which may occur during normal weekday but most likely weekends and evenings.